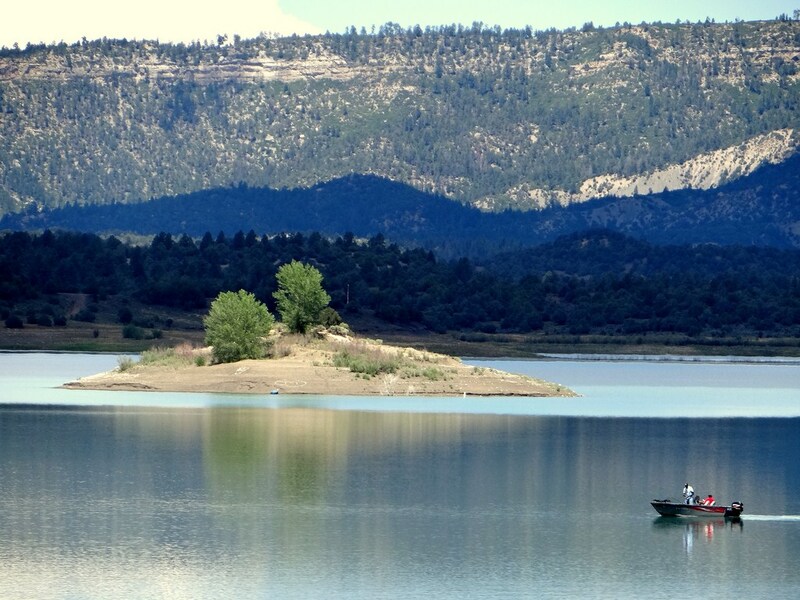 The tall pines of Norhter New Mexico provide the scenic backdrop to Heron Lake. Designated as a "quiet lake" where boats operate at no-wake speeds only, Heron offers excellent year round trout fishing and superb winter snagging. Directions from Albuquerque, take I-25 North, on approach to Santa Fe take exit 282 and connect with 84/285 towards Espanola and take the US 84 North. Continue driving, two tenths of a mile north of Tierra Amarilla and turn West on NM 95 follow this for six miles to the lake. As of this past weekend, the majoritiy of the lake was ice free. However, some ice remains and the boat ramps are still closed. Some shoreline fishing is available. Contact the state park office for updated conditions. 575-588-7470.